The programs include the short-term course, where you can study in the same classroom with international students, as well as private and semi-private lessons. Please feel free to contact us for more details. While the program starts in April and October, you may start in the middle of a term if the program is available at your level. 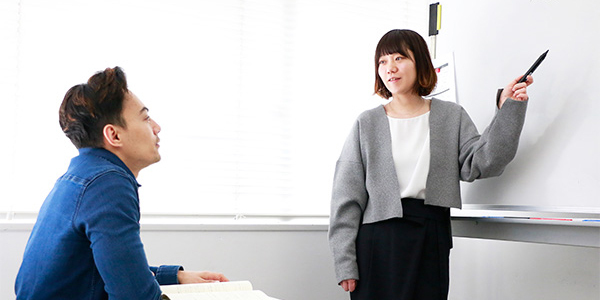 Some classes focus on conversation and Kanji learning, while other classes focus on preparation for the Japanese-Language Proficiency Test (JLPT). You can choose either the morning or afternoon program. ● The following items are necessary when you apply for the program. Before the lessons start, we conduct a placement test to check the current level of your language skills. We will assess what you would like to do and how much you would like to learn to coordinate the lessons that best suit your unique goals. We can also offer semi-private lessons for two or more people at the same level. Are you worried about what kind of lessons you will be taking? We have a trial lesson (one-time free lesson) too! We would like you to be sure what you will be getting before taking our lessons. The minimum unit is 10 lessons (15 hours). Each lesson is 90 minutes long. If you contact us to cancel at least one day before the scheduled lesson, you may reschedule the date. However, a cancelation fee will apply if you cancel on the date of the scheduled lesson.